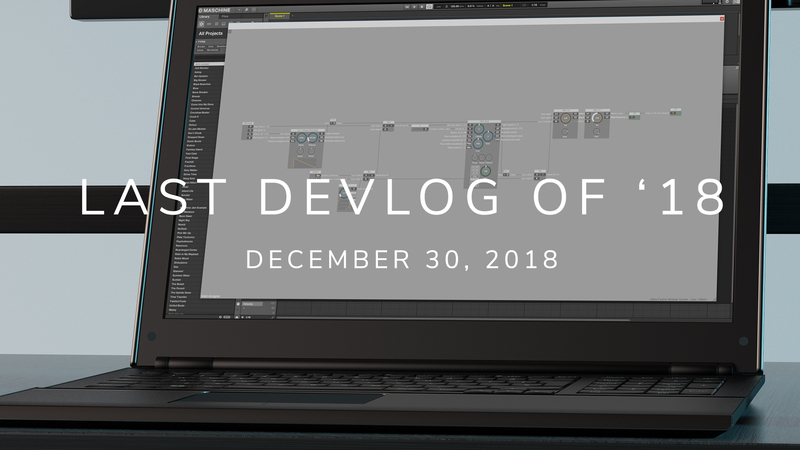 The last development day of Alpha Forever 2018 brings new functions and enhancements. - Based on a user request plug descriptions are now drawn above the wires. This makes the descriptions easier to read. - The oscillator nodes (OSC Multi and OSC Wavetable Morph) got several knobs renamed to keep consistancy across parameter names. The unison node got smaller, and received a sum output. The new plug (Sum) outputs the number of unison voices. The Envelope Follower Modulated node outputs the modulated attack and release values on the 'OA' and 'OR' outputs.